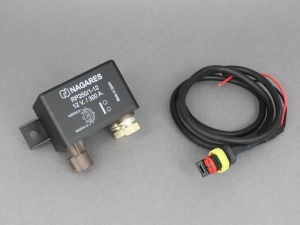 High quality, heavy duty Nagares 'make and break' relay suitable for high power applications such as winch motors, pumps, battery switching and isolating etc. Silver-plated terminals offer low electrical resistance and the connection to the coil is via a convenient, waterproof superseal plug. 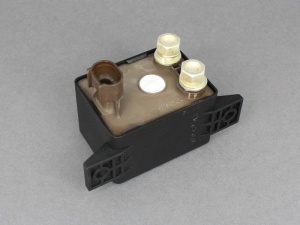 The relay housing also features moulded mounting brackets for easy installation. 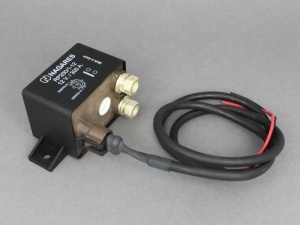 This relay can also be used for high current split charging applications in which case the coil can be triggered from an alternator output or other suitable source that is only active when the alternator is running. Coil cable length: 800mm approx.